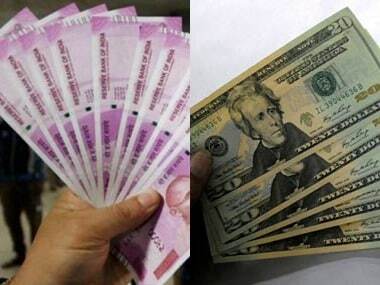 Mumbai: The rupee trimmed its early sharp gains to settle 8 paise higher at 70.06 against the US currency mainly due to dollar buying by importers in the last hour of trade. The dollar strengthened against major global currencies in a restricted trade which also weighed on the domestic currency. The dollar index, which measures the US currency's strength against a basket of six major global currencies, was up at 96.74 amid global economic growth concerns. Major global markets such as the UK, Hong Kong and Germany were closed for Christmas holidays. Brent crude, the international benchmark, was up 0.73 percent at $51.14 per barrel. 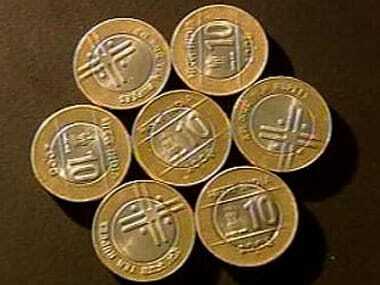 The rupee opened on a strong note and soared 35 paise to 69.79 a dollar against the previous close of 70.14. The currency pared some of the gains in the fag-end to end at 70.06, showing a gain of 8 paise. Stock markets reversed their early losses to close the day with gains. The BSE Sensex broke its three-day falling streak by ending 179.79 points higher at 35,649.94. The broader NSE Nifty gained 0.62 percent to close above the 10,700 level. Foreign investors put in Rs 80.28 crore on a net basis in capital markets. Meanwhile, the Financial Benchmark India Private Ltd (FBIL) set the reference rate for the rupee/dollar at 69.9906 and for rupee/euro at 79.8196. The reference rate for rupee/British pound was fixed at 88.9581 and for rupee/100 Japanese yen at 63.36.